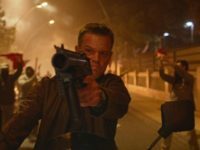 Moviegoers in China have taken to social media to complain of dizziness and nausea after viewing a special 3D presentation of action film Jason Bourne, released in the country this week. Ralph Lauren model Tyson Beckford recently spoke to Matt Damon’s anti-gun rhetoric by observing that it looks hypocritical to “denounce the gun” while you make millions holding a gun in your hand. 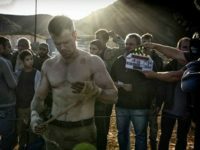 Gun-toting action movie star Matt Damon doubled down on his gun comments from last week by suggesting Americans may be too “sensitive” to understand the need for gun control. 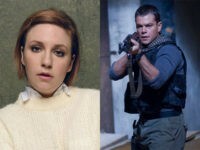 Actress Lena Dunham wants images of guns yanked from ads for Matt Damon’s new film Jason Bourne. 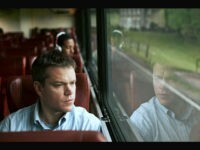 Actor Matt Damon believes presumptive Republican presidential nominee Donald Trump lacks the “temperament” to be U.S. president and predicts “disaster” if Americans elect him in November. 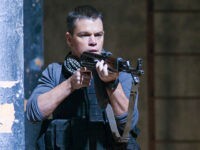 Gun-Toting Action Star Matt Damon Wants Australian-Style Gun Ban in U.S.
Gun-toting action star Matt Damon of The Bourne Identity, The Bourne Supremacy, The Bourne Ultimatum, and The Departed, says he wishes the U.S. would implement a gun ban similar to the one Australia implemented in the 1990s. 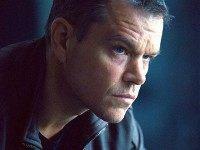 Universal Pictures has released the official trailer for Jason Bourne.